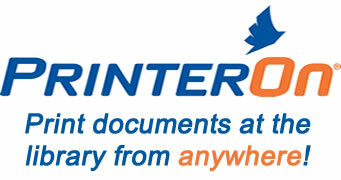 Click on the PrinterOn logo above to upload your document to our wireless printing service. 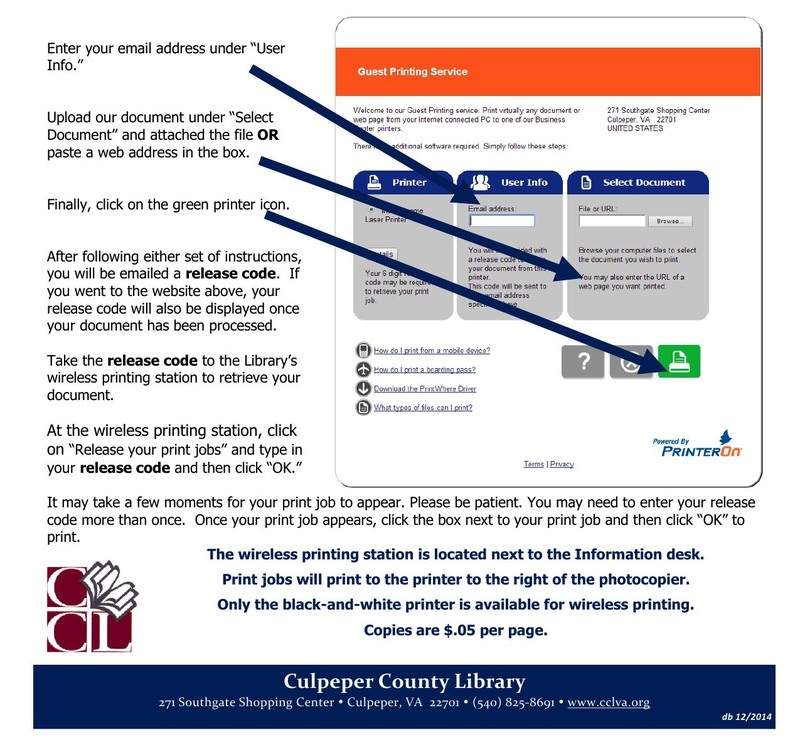 Or, email your document to: culpeper-county-library@printspots.com. Once your document has been processed, you will receive a release code at the email address you provided. At this point, you have 72 hours to visit the wireless printing station at the Culpeper County Library. To retrieve the document, enter your release code at the Library's wireless printing station. After following the prompts given by the wireless printing station, your document will then be printed. More detailed instructions are below. Send an email to our wireless print service with your document attached: culpeper-county-library@printspots.com. You will receive a reply to your email that includes a release code. Use this release code at the Library’s wireless printing station to print your document.